The Cape Town 12 Onerun, the latest mid-distance city race that promises to further promote the city as a running destination, was launched last night (26 January). Puma and Totalsports are two of the race sponsors. The 12km race will take place 17 May 2015. It starts at 10:00 at Woodbridge Island in Milnerton, through the docks, the Company Gardens, down Long Street and finishes at the bottom of Bree Street at the FNB Portside Building, which is “a prominent landmark of the Cape Town inner-city rejuvenation,” says Stephan Claassen, FNB Business Provincial Head. The event is open to everyone: young, old, elite, mass participation, etc. Several of South Africa’s top mid-distance runners are keen to participate in the race as well. Runners will be encouraged to have fun during the event and there will be entertainment planned along the route and at the finish line. But, due to its flat track, fast times are expected. 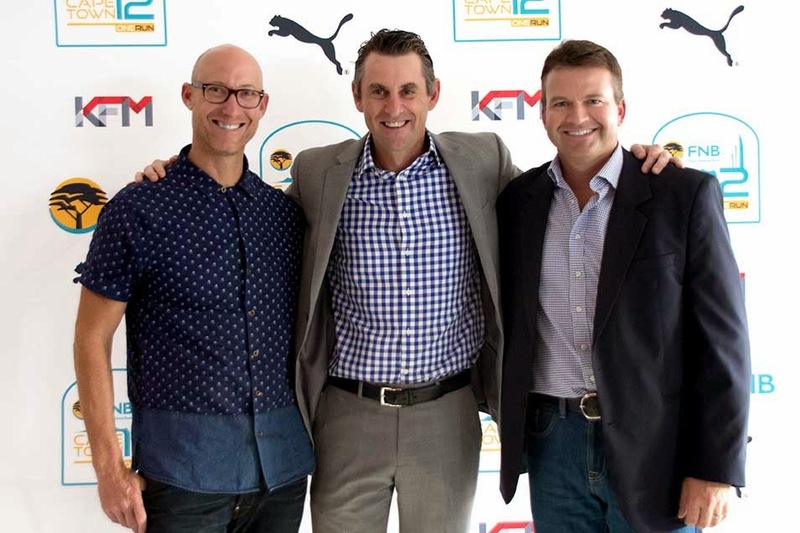 Brett Bellinger (Marketing Director PUMA South Africa), Michael Meyer (Managing Director of Stillwater Sports) and Stephan Claassen (FNB Business Provincial Head). "Since August 2014 we have been repositioning ourselves as the brand that is Forever Faster - in all areas from the way we do business, to the events and athletes we sponsor," says Brett Bellinger, Marketing Director of sponsor, Puma South Africa. "The addition of the FNB Cape Town 12 Onerun represents a perfect alignment - the course will be fast, but the distance is short enough that literally everyone can participate. This is exactly what excites us about the race." Several international athletes will also be invited to compete against the South Africans. “We need this kind of competition. Our athletes are starved for it on home soil and it will be something special for the South African spectators to see. We are always watching this kind of racing on TV, now it will be on our doorstep. It’s fantastic,” exclaims Jean Verster, one of South Africa’s premier middle distance coaches. 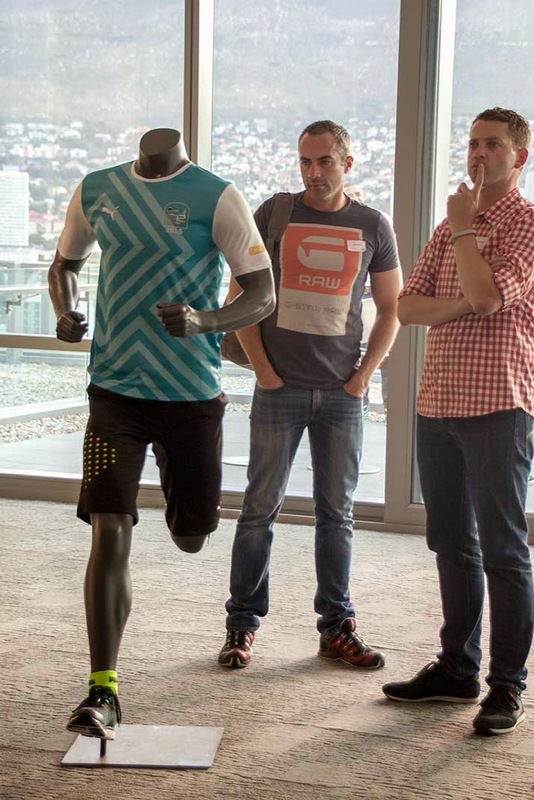 Guests admire the new Puma race kit. Online entries open 3 February and close 1 May - no late entries will be accepted. The first 3 000 standard individual package entries to pay with a FNB card (debit or credit) will receive a free Puma performance tee. For more information on the Cape Town 12 Onerun, visit www.thecapetown12.com.